Pay for 50% of the bid up front, followed by 2 payments of 25%. No discount. After 1 year, you can buy the lease, outright for $25. If you don’t buy out the lease, the monthly charge will continue and be used for ongoing updates and edits to your website. You can also buy-out the bid prior to 12 months, by paying the remainder on the account + $25.00. Websites design under a lease agreement are technically the property of EZ-NetTools unless the client decides to participate in the buy-out option. In practice, this has no effect day-to-day operations, and is really just a clause to protect EZ-NetTools in the event of delinquent payments. Lease agreements do not limit the client’s access to their website. Clients have full control and access to leased websites, unless they do not pay their bill. Furthermore, clients retain ownership of any text or photos thy supplied, regardless of payment status. 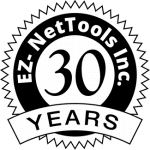 Only the website, domain name, and other elements created by EZ-NetTools are legally owned by EZ-NetTools under a lease agreement.